Located in the stylish complex, Gallery 21 Restaurant is a foodie haven that offers a creative blend of Mediterranean dishes. Just recently, Bahrain Confidential indulged in this uniquely delicious Friday Brunch! As always, we cannot stress enough on how much we love the ambiance of the restaurant. Gallery 21 is well-recognized for its special setting – enclosed classic style courtyard with lush greenery and a glass roof. 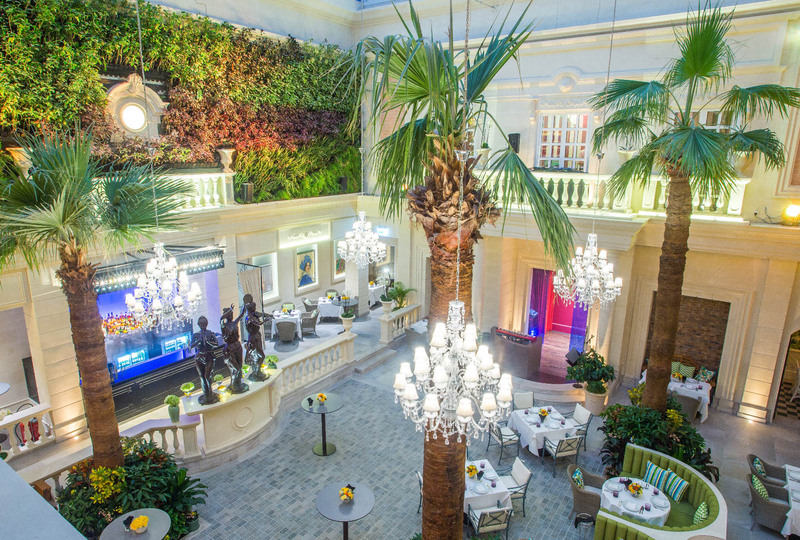 On top of this, the restaurant played on everyone’s senses with its living tropical wall and Washingtonian palm trees, further complemented by decadent bronze life-size statues and Art Deco finishing. Straightaway, we felt comfortable and at ease. 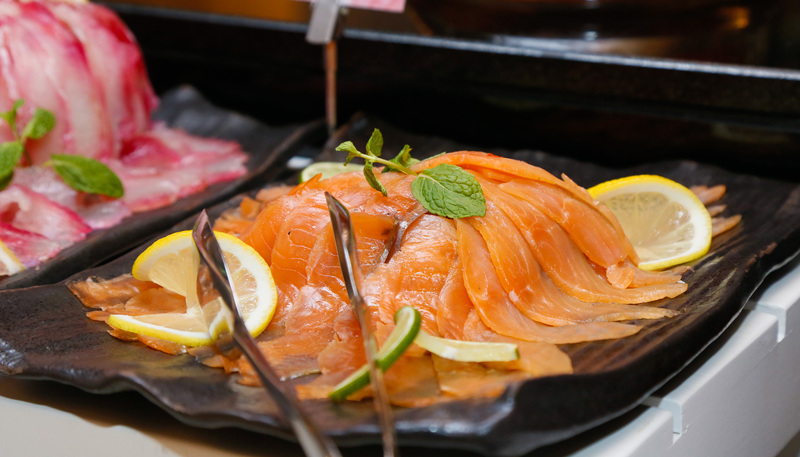 The Friday brunch offers unlimited food and beverages as well as live cooking stations that includes ceviche and carving station, pasta and dessert section. During the course, we particularly liked the ‘Salmon Wellington’. Creamy, flakey and utterly delicious; we enjoyed every bite of it. Pretty much anything on the menu and the Friday brunch was worth trying. Gallery 21 restaurant’s live ceviches bar definitely stood out from the rest – you do not always get to experience a high-quality ceviche on the island. Aside from using fresh ingredients, it was also beautifully presented. The selection of cheeses was also fantastic! The chef was very attentive during the brunch. He made sure that each of our queries and requests was tended to. The selection of handcrafted cocktails and non-alcoholic cleansers was great – perfect for those who just want to relax after a long week. On another note, the resident band, Energy, made the experience more fun! Every song that they played was extremely enjoyable; we savored every moment while we take on a wonderful culinary journey. 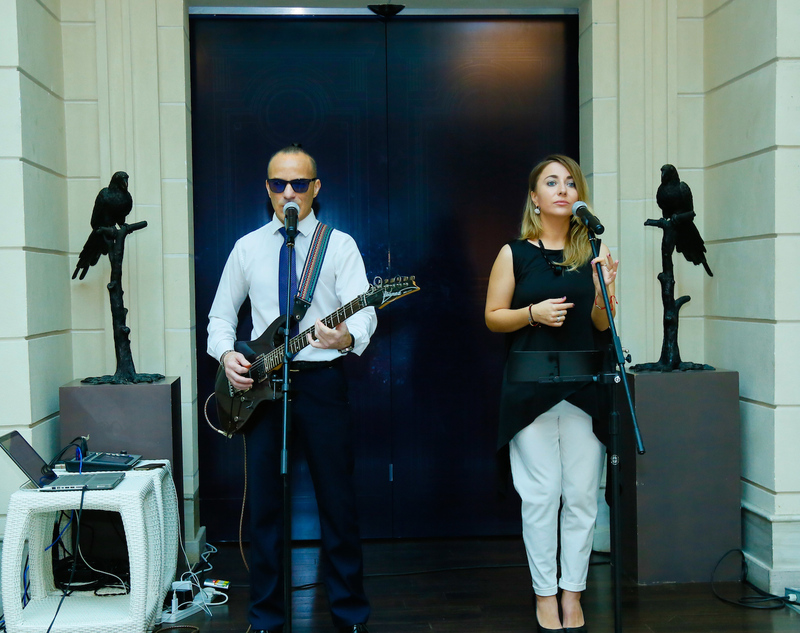 You can enjoy Gallery 21’s Friday Brunch from 1pm to 4pm, for BD17.5++ or BD25++. Happy hours are also available from 4pm to 7pm at the rooftop bar.